Despite the initially-announced consoles that Soul Calibur VI will be released on, some people seem to be holding onto hope for a Switch version. Maybe, just maybe, I could buy a hypothetical Switch version instead... but it would depend on the Guest-Character(s) offered. If we got a Switch SCVI with Link as a guest character, then I'm getting the Switch version, no questions asked. Though the rumor people keep talking about is a Fire Emblem character (probably Chrom or Lucina) being the Switch guest character. If that happens, the Switch version won't have the pull on me that it could have had. You folks are confused. This is the post, and that stuff up there is the signature. lol. Note the overuse of "main" in the above sentence. Soul Calibur V: *Dampierre, **Patroklos, **Pyrrha, **Natsu, Z.W.E.I., **Leixia, ***Viola, **Xiba, & ****Elysium. Character select screen. Looks like we're looking at about 20 characters. This is assuming they're not going wild with new characters and intend on including most of the archetypes as of SC2. DLC characters would probably be some people like Zas, Sets, Rock, Hilde, Lizard, Dampierre, another guest. The game is still only known to be 70% complete, so I'm going to assume that the number of slots we see on the roster screen (20) isn't final. 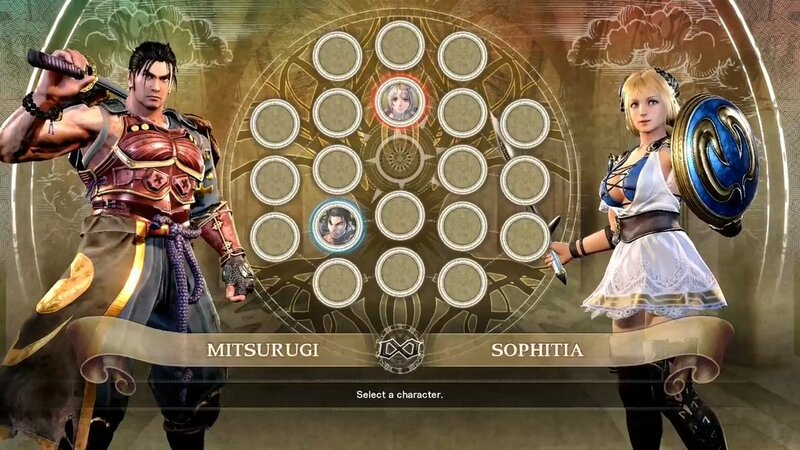 If it's just 20 characters after all, the roster would fit all of the unique characters from Soul Edge & the first Soulcalibur, but not all of the SCII characters; having to sacrifice slots for the New Dualblade-wielder & a Guest or two. So maybe the roster could look something like this, despite having just 20 slots: Siegfried/Nightmare, Taki, Maxi, Rock/Astaroth, Seong Mi-Na, Sophitia/Cassandra, Voldo, Yun-Seong, Cervantes, Ivy, Kilik, Lizardman (Aeon Calcos), Mitsurugi/*Arthur, Xianghua, Yoshimitsu, Raphael/Amy/**Viola, Talim, Edge Master/Charade, New Dual-Blade Character, & Guest Character. ...Neither "Edge Master" nor "Charade" are truly unique characters, as they randomly select between weapons of all other characters. I included Edge Master simply because he's part of the the 2nd game's (Soulcalibur) roster. 1. Soul Calibur VI is currently NOT planned for a Nintendo Switch version. I liked all the Soul Caliber series even part 5 but only because of the great character customization in that game... sadly the game's story sucked there. 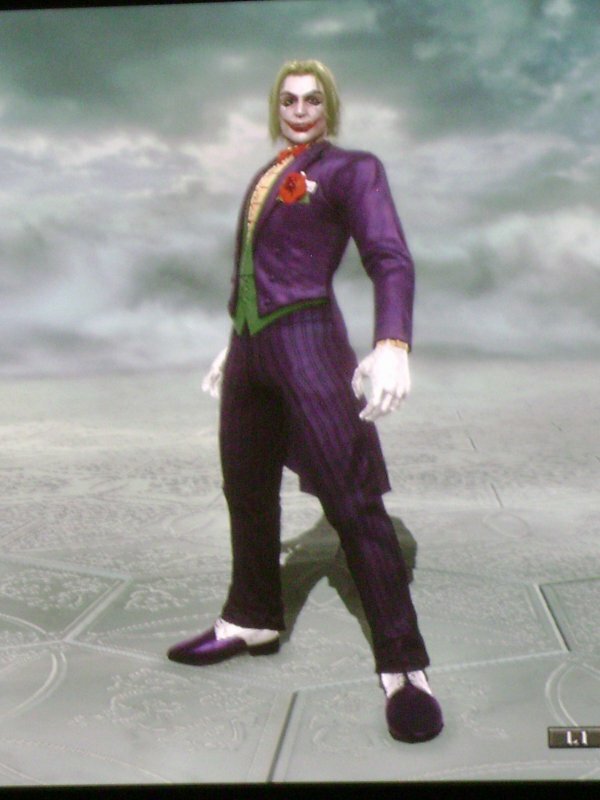 I hope Soul Caliber VI will have robust character customization in it and I hope Dampierre comes back or at least his move set... he made a great "Joker" in character customization. I want Ivy to be back. Her style with the character creation and we can our own Miriam with the swordwhip style. It's almost impossible for Ivy not to be in the game. Pretty much as much of a given as the characters in it already. That's a really good Joker, wow. As much as I don't like Dampierre, gotta say he was useful for something then lol. purifyweirdshard If this game really is going to be set in 1586 (the time of "Soulcalibur"; the 2nd game), then I'd say Ivy is guaranteed. Certainly. This was technically uploaded on the Bandai-Namco YouTube channel 2 days ago, but I shall post it here for Christmas Eve! While there hasn't been more official news lately, I might as well post this poll. ah I checked that out yesterday myself. Missed voting on it though. Wasn't too surprised by the results lol. Looks like "DasVergeben" is sharing some supposed leaked information about Soul Calibur VI on Reddit. You probably don't need me to tell you to take this recent "news" with a grain of salt. Also be warned that the poster himself, despite linking to the 8WayRun official forums, admits being skeptical about his own sources. Nothing else about the roster of SCVI beyond two characters (Mitsurugi & Sophitia), development on Unreal Engine, and the "Reversal Edge" mechanic has been officially confirmed yet. 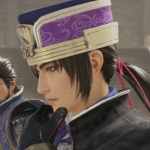 All things considered, one of the new rumors suggests that another new character will be the "Dual-Blade Guy's" father. So at the very least, if that last piece is true... Tira's getting yet another ally from her "Birds of Passage" group. SoulCalibur VI will be playable on January 9th at CES2018 in Las Vegas. SoulCalibur VI will be playable at EVO Japan on January 26th to the 28th! EVO Japan's SoulCalibur VI demo will have more playable characters. Interesting. I'm going to guess Ivy and Kilik.